Viewers of Rocky Mountain PBS have always loved programs about animals. "Zoo Time" was a 10-week series that premiered on KRMA-TV on June 8, 1960. The purpose of the program was to acquaint Denverites with their local zoo. 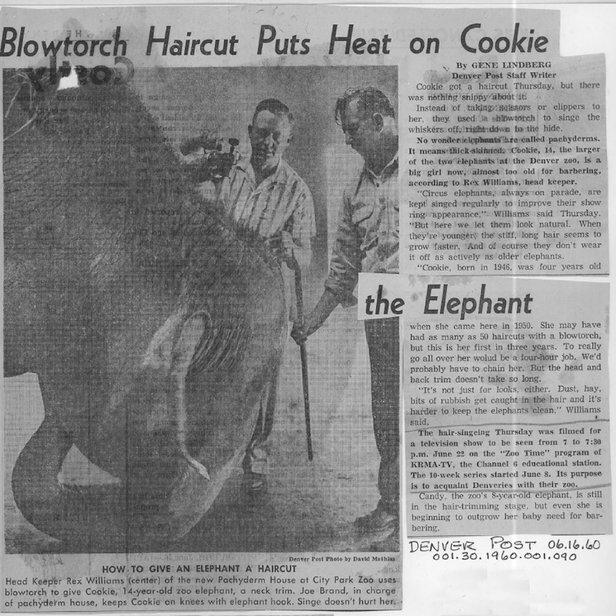 On June 22, 1960, "Zoo Time," featured the Denver Zoo elephant, Cookie, getting a haircut. Cookie, born in 1947, was only a few years old when she first came to the Denver Zoo in 1950. Using a blowtorch to singe the whiskers off right down to her hide, the Head Keeper, Rex Williams, served as Cookie's barber. The blowtorch, he said, did NOT hurt the elephant. Cookie was a teenager in 1960 and was the larger of the two elephants that resided at the Denver Zoo at that time. Williams explained to Zoo Time host, Earl Reum, that Cookie was too old for normal barbering with scissors and clippers. When elephants are younger, their stiff, long hair grows faster and they don't wear it off as actively as older elephants. Cookie may have had as many as 50 haircuts with a blowtorch, but her 1960 cut was her first in three years. Williams also explained that circus elephants were kept singed regularly to improve their show ring appearance. At zoos, elephants were allowed to look more natural. Why cut an elephant's hair? The trim was not done just for looks. Dust, hay and bits of rubbish can get caught in their hair making it harder to keep the elephant clean. Along with elephants, Zoo Time featured numerous zoo animals including polar bears, sea lions and lions – oh, my!! 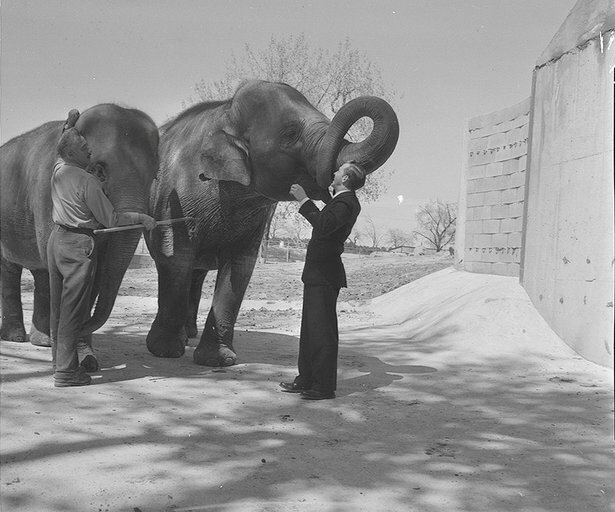 1960: Earl Reum, host of KRMA-TV ZOO TIME with Denver Zoo's elephants. 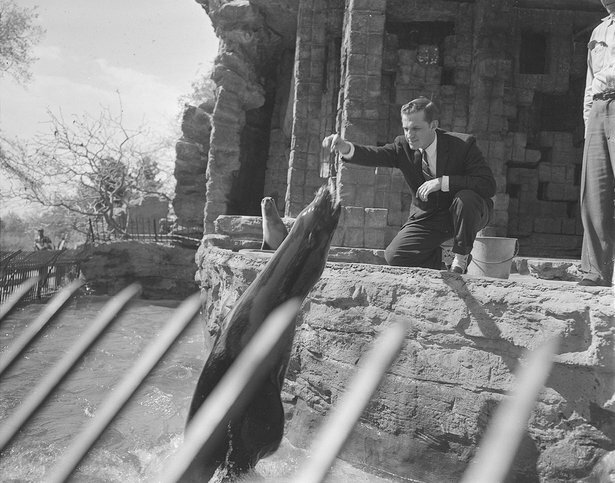 1960: Earl Reum, ZOO TIME host, feeding sea lions at the Denver Zoo. This structure still stands at the Denver Zoo but is no longer used for sea lions. 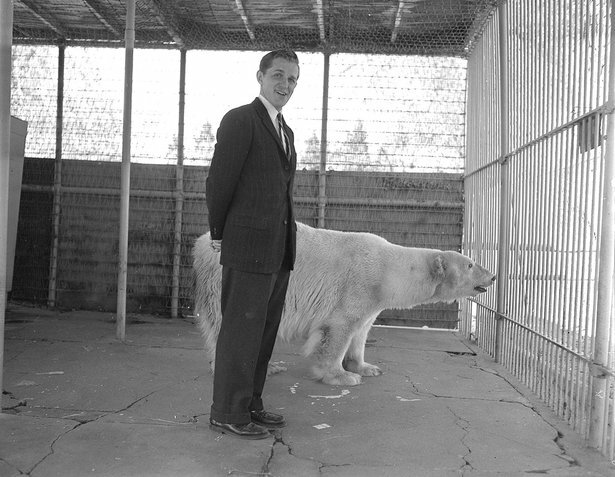 1960: ZOO TIME host, Earl Reum near a polar bear. We're uncertain whether Reum was truly standing by the bear as it appears in this photo. There was NO Photoshop back then! 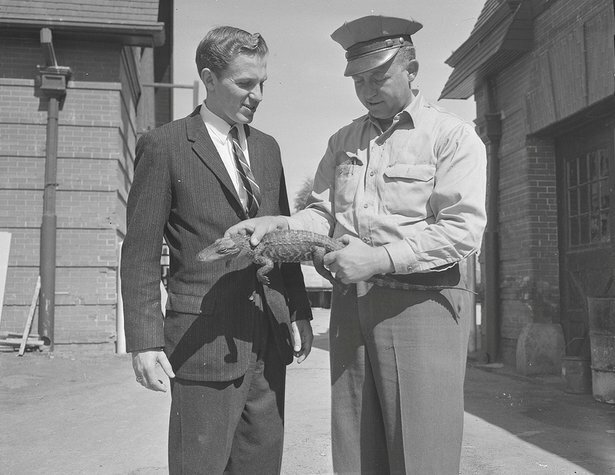 1960: Reum and his viewers were introduced to a tiny gator at the Denver Zoo. 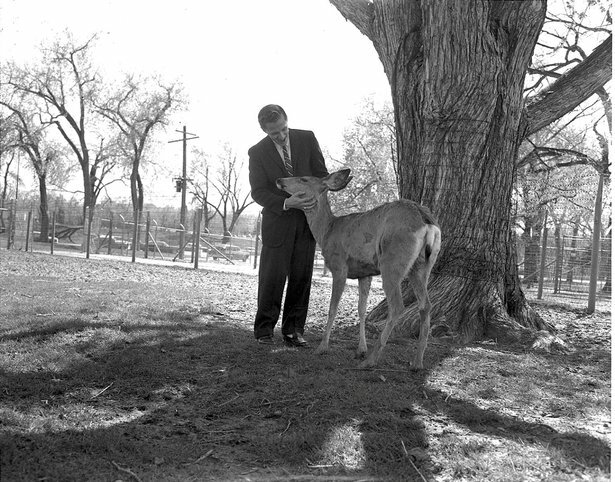 1960: A Denver Zoo deer is introduced to the viewers of ZOO TIME. June 6, 1960: The upcoming half-hour series, ZOO TIME, was previewed in the Denver Post.